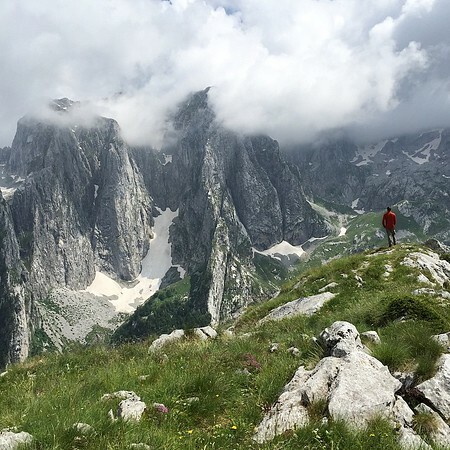 Best photos from our Peaks of the Balkans trek in Albania, Kosovo and Montenegro. 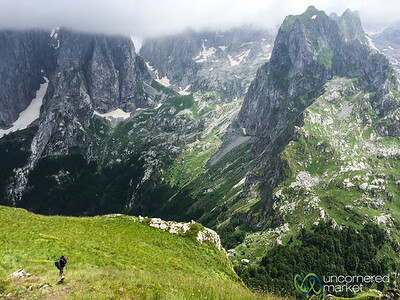 For more practical details on the Peaks of the Balkans trek, read: Peaks of the Balkans: Beginners Guide or buy it here. "There is nothing noble in being superior to your fellow man; true nobility is being superior to your former self." -- Earnest Hemingway. 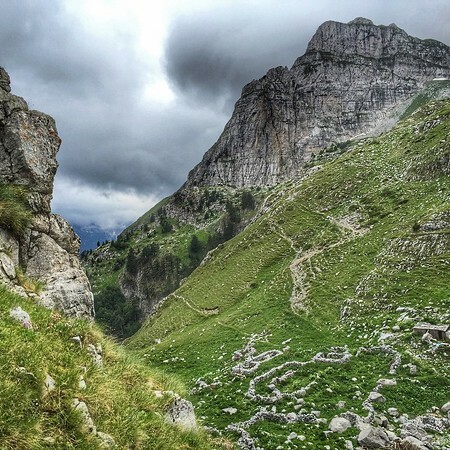 Reminded of this as we walked the ridge from Mt. 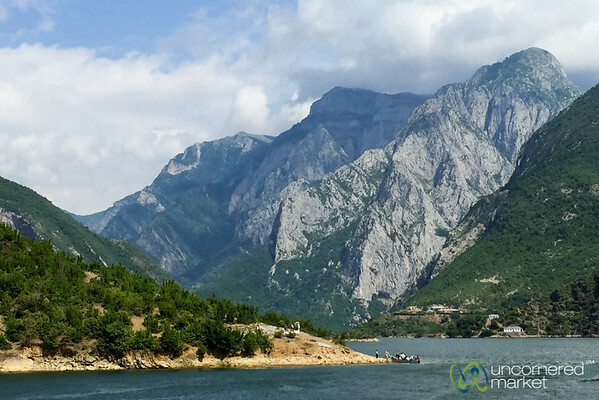 Talijanka and views of the Karanfil Mountains are revealed, in the midst of the border region between Albania and Montenegro. 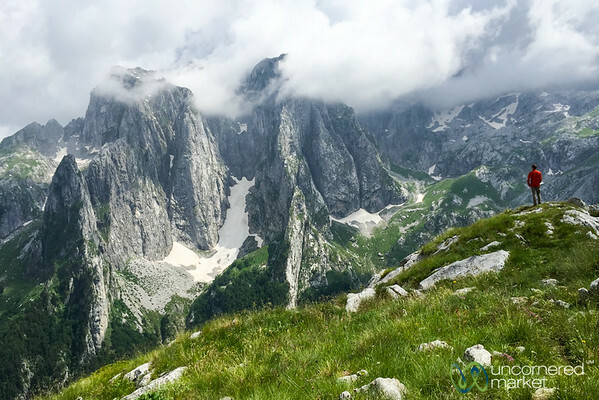 This is Peaks of the Balkans. 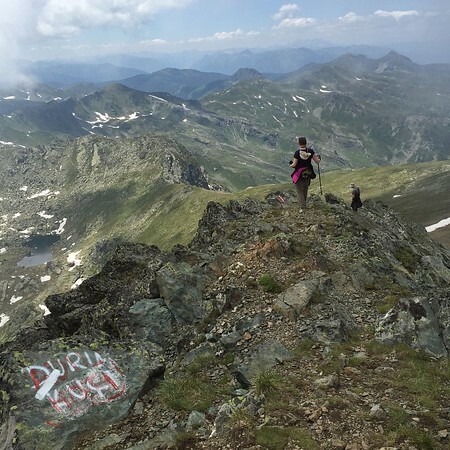 Audrey descends from the highest peak in Kosovo - Mount Gjeravica. 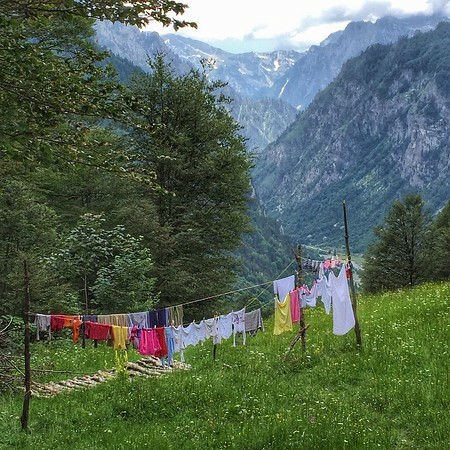 Peaks of the Balkans trek. 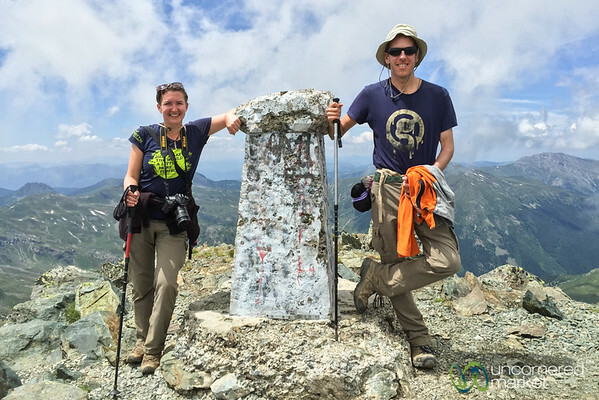 Dan and Audrey at the top of Mt. 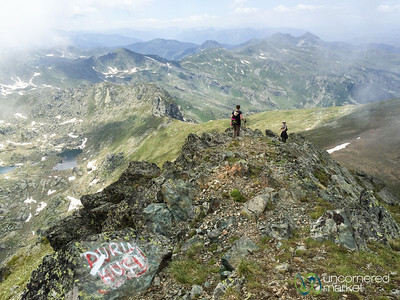 Gjeravica (2,656 meters), Kosovo's higest peak. 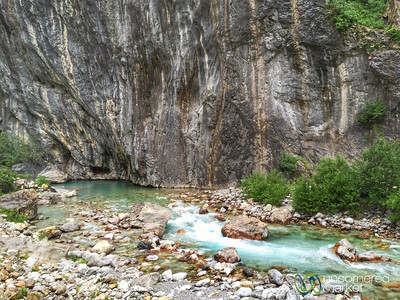 Peaks of the Balkans Trek. 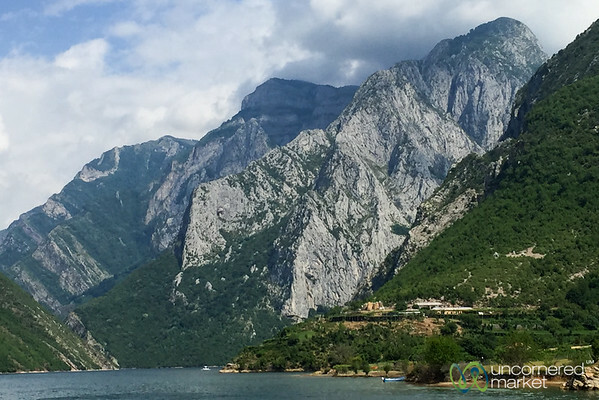 Audrey attempts to photograph the impressive Karanfil Mountains on the border of Albania and Montenegro. 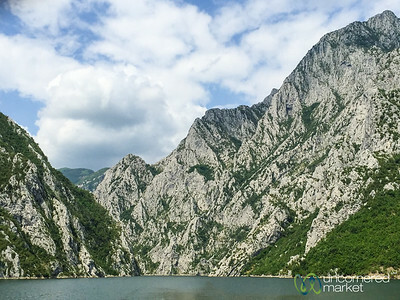 Peaks of the Balkans. 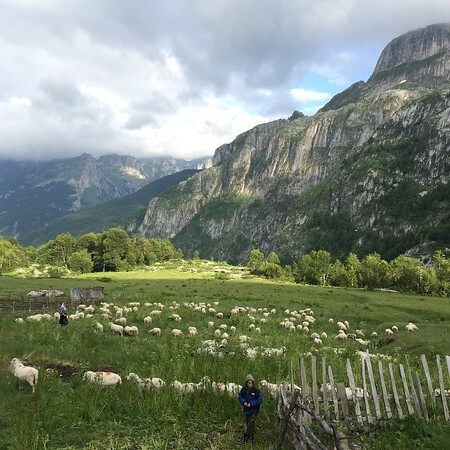 Dan takes in the drama of the Karanfil Mountains on border of Albania and Montenegro. 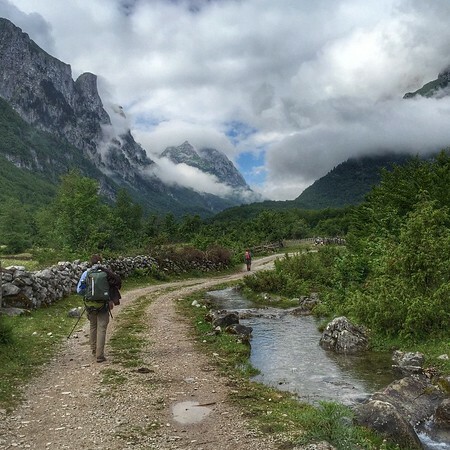 Peaks of the Balkans Trek. 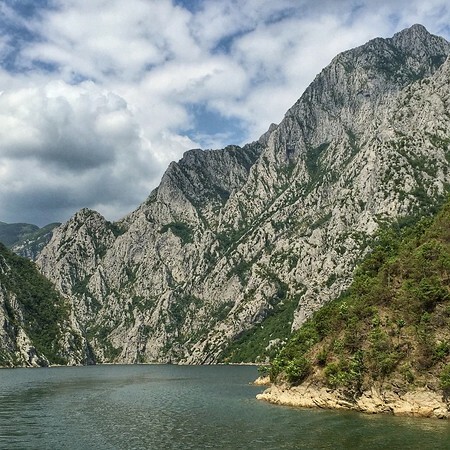 We start our Peaks of the Balkans trek with a ferry ride across Lake Koman to Fierzë, Albania. 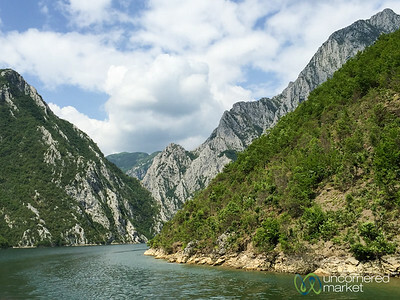 Just beautiful and so relaxing to just ride on top of the boat. 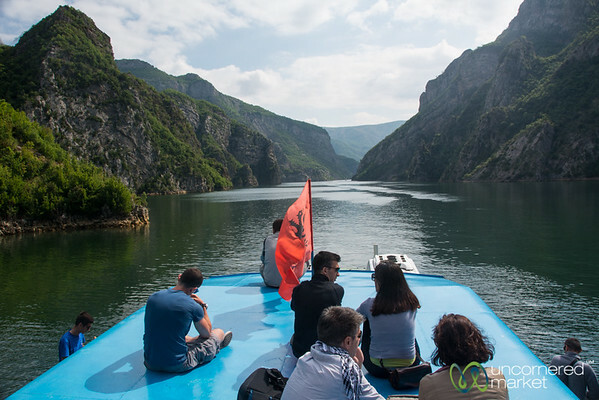 Another boat lets off passengers along Lake Koman in Albania. 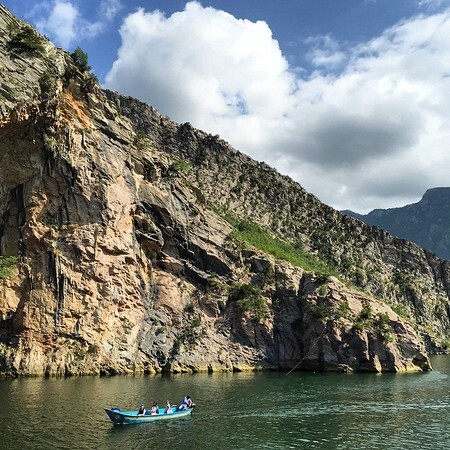 Views from the ferry across Lake Koman in Albania. 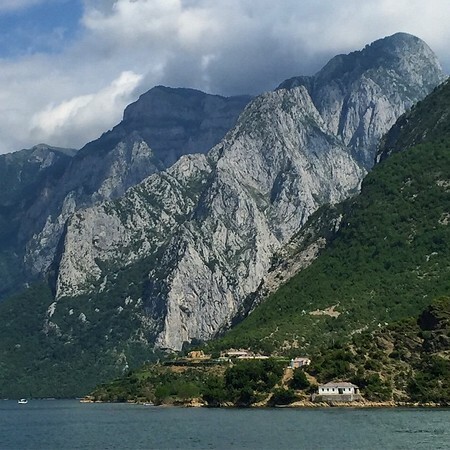 Views of mountains on all sides on the Lake Koman ferry in Albania. 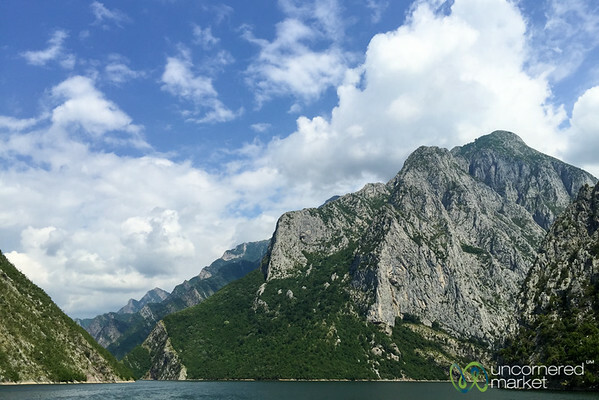 Mountain landscapes along Lake Koman ferry in northern Albania.